What Will Be the Results of This Innovation? 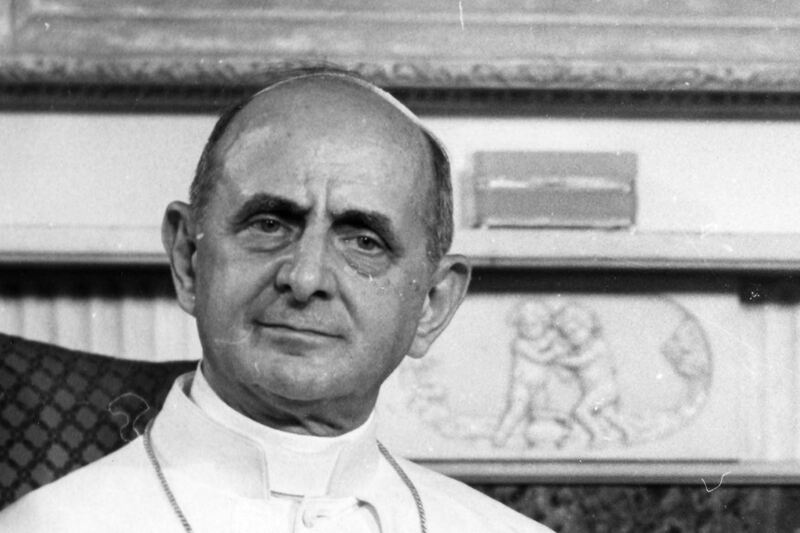 On November 19, 1969 Pope Paul VI addressed the faithful at his weekly general audience about the implementation of the new rite of the Mass, scheduled for the First Sunday of Advent that same year. Reflecting on these words of Pope Paul today, one is struck by the tragic irony of it all. The optimism of 1969, when the Holy Father predicted a “new epoch” in the life of the Church, would soon give way to the reality of a desacralized liturgy, irreverent worship, and the widespread loss of the faith by millions in the decades that followed. “This change has something astonishing about it, something extraordinary. This is because the Mass is regarded as the traditional and untouchable expression of our religious worship and the authenticity of our faith. We ask ourselves, how could such a change be made? What effect will it have on those who attend Holy Mass? “You will see for yourselves that (the changes) consist of many new directions for celebrating the rites…Perhaps some may allow themselves to be carried away by the impression made by some particular ceremony or additional rubric, and thus think that they conceal some alteration or diminution of truths which were acquired by the Catholic faith for ever, and are sanctioned by it. They might come to believe that the equation between the law of prayer, lex orandi and the law of faith, lex credendi, is compromised as a result. “In the new rite…you will find how much the assembly of the faithful is called upon to participate in the celebration of the Eucharistic sacrifice, and how in the Mass they are and fully feel themselves “the Church.” You will also see other marvelous features of our Mass. But do not think that these things are aimed at altering its genuine and traditional essence. Posted on August 13, 2015, in liturgy and tagged general audience Paul VI, novus ordo mass, Pope Paul VI, vatican ii. Bookmark the permalink. 2 Comments. The “desacralized liturgy” was already in place by 1969, prior to the introduction of the New Mass, at least in my parish, and in many other parishes. We stopped using the Communion rail in 1966/67. Just prior to the introduction of the New Mass, Mass was totally in the vernacular, offered facing the people, with several “Eucharistic prayers” and false translations of the words of institution. Mass began away from the altar, at a microphone, while facing the people. Holy Communion was given to people standing. This was how Mass was experienced in the parish of my youth prior to the New Mass. A typical suburban parish in a Midwest U.S. diocese.